Here is another South Korean celebrity whom linked with plastic surgery, Moon Geun Young. Yeah, actress who won many awards for her acting skill seems unable to resist plastic surgery issue. Last four years have been considered as the time when she is dramatically changing. So, what does she have? It is widely known that Moon Geun Young is said to get at least cheek implants and Botox injection. Many people including her fans considered that Moon Geun Young face is much bigger today. It is surely different with her in the past. She used to have smaller and cuter face. 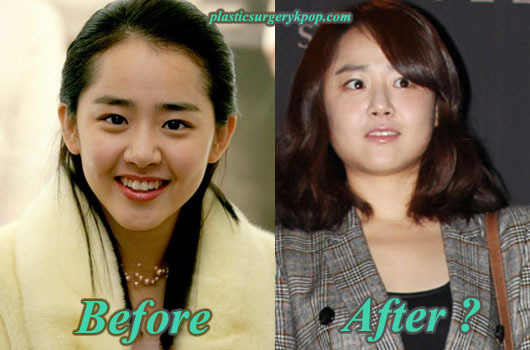 However, Moon Geun Young before after plastic surgery pictures show that she now appears with big and wide face shape. 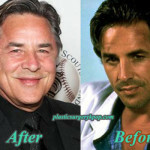 Some people assume cheek implants are the reason behind that change. So how about you, do you think she really get plastic surgery especially cheek implants? Moon Geun Young appears different with flawless and rather stiff facial skin on her. This condition invited the rumor about the possibility of Botox in Moon Geun Young face. So far, Moon Geun Young herself didn’t give clear statement about this surgery issue. But her agency defended, said that girl who was born on May 6, 1987, doesn’t like to go to hospital. Simply, they concluded that Moon Geun Young is a natural beauty. Moon Geun Young seems not too open about her plastic surgery. Unlike Lee Si Young, Han Chae Young and Park Shin Hye who honestly said that they had plastic surgery.